Crowd to President Obama: "We love you President Obama! You're our hero!!!!" “. @SunnyClifford : This is who gets to wear a headdress. 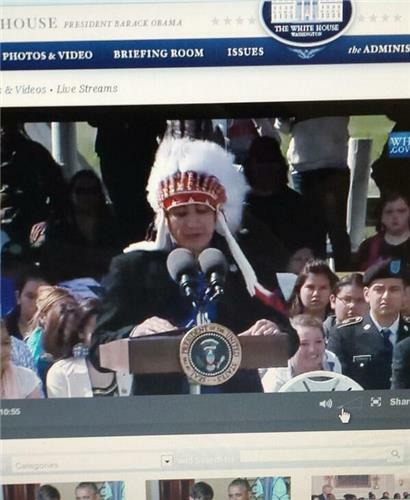 #PrezRezVisit http://pbs.twimg.com/media/BqCrDBeIcAAdYM3.jpg” here here! I'm loving it! 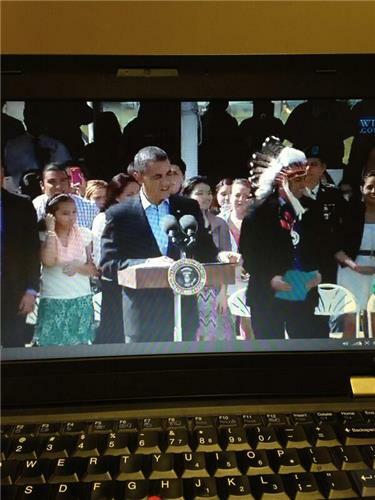 #Obama #PrezRezVisit ???????????? 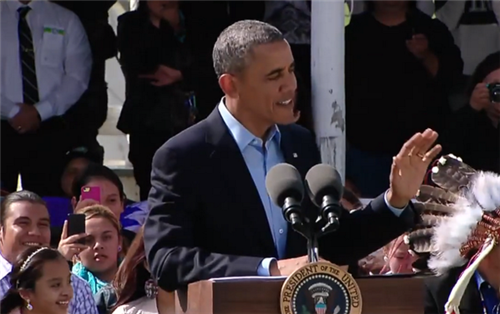 “@TwoRowTimes : Obama speaks Lakota and the crowd goes WILD! 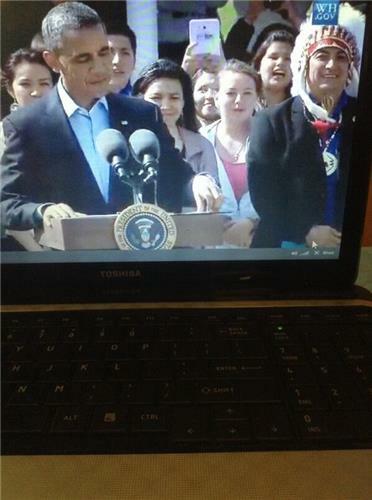 #PrezRezVisit http://pbs.twimg.com/media/BqCsbYUCQAA_BdA.png” Awesome! OBAMA: Admin wants to give due respect to nation to nation relationships and partnerships. 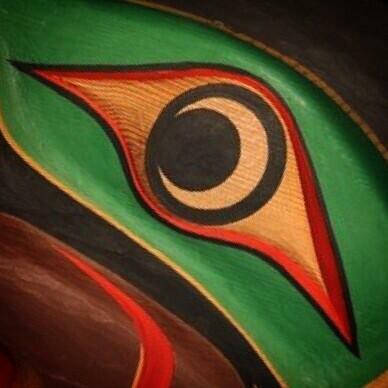 "Honor your sovereignty and our treaty obligations." - POTUS. #PrezRezVisit You know there's one Native in the crowd right now who thinks he can tackle Obama before the secret service can stop him.